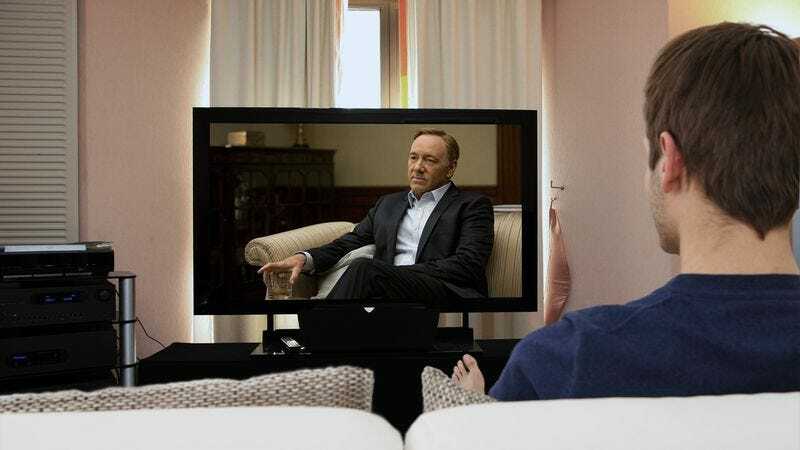 SOMERVILLE, MA—Noting that he only needs to watch 26 full episodes of the political drama, local man Ben Atwell revealed Thursday that catching up on the previous two seasons of the Netflix show House Of Cards should be depressingly manageable. “I shouldn’t have any trouble getting through both seasons in the next few days,” said Atwell, who told reporters that he currently does not have any obligations in his life that might prevent him from maintaining a comfortable, extremely sad pace of watching six or seven of the hour-long episodes each day. “Making sure I get a full eight hours of sleep each night won’t be a problem either, even if I decide to take short breaks every couple episodes. Should be a breeze.” In a final heartbreaking statement to reporters, Atwell described the sense of grief he expects to feel after running out of episodes to watch when he finishes viewing the new season by Saturday evening.